GALION — As the start of a new school year approaches, officials and teachers have to prepare for every aspect and issue facing students soon returning to their buildings. In that respect, Galion Middle School will be offering a parent education activity during its open house Aug. 14, from 5-8 p.m.
Marion Crawford Prevention Programs provides substance abuse education within both Marion and Crawford counties, and their group will be on site at the open houseto help parents get a heads-up on the signals and warning signs of drug and alcohol abuse with their teen. 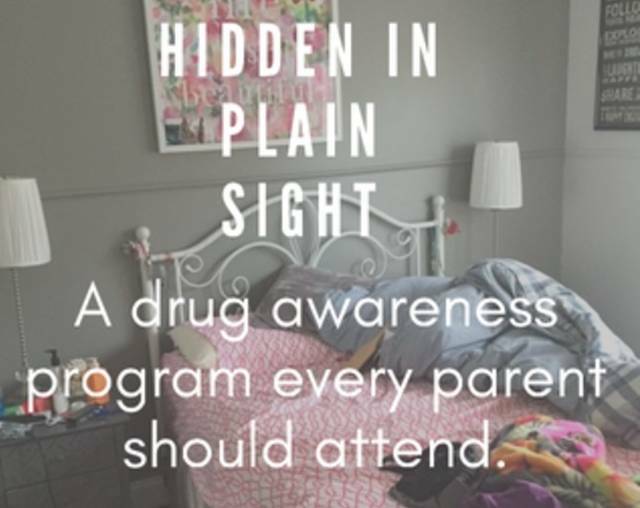 Hidden in Plain Sight is an interactive parent education program that walks parents through a virtual bedroom showing hidden signs of drug and alcohol use. After the room tour, parents will be given resources on how to talk with their children about risky behavior and resources if drug or alcohol use is suspected. Most studies show that parents are the first and most important line of defense against substance use for their children. That statistic is the reason behind the creation of this program. This program gives the power back to the parents making them informed and allows them to intervene if risky behavior is detected. Early intervention is important and can prevent the negative consequences of drug and alcohol use. Research shows that kids whose parents talk to them about the risks of drugs and alcohol are 50 percent less likely to develop a drug or alcohol problem in the future. Hidden in Plain Sight is a national program, but has not been done in Crawford County recently according to Eckert. She reached out to superintendent Jim Grubbs about the program, who suggested placing it at Galion Middle School during Open House. The program will be set up in the hallway where students will receive their technology. It is only for GMS parents this time and not open to the general public, but is available for churches and workplaces by contacting the Marion Crawford Prevention Program at 740-914-6444.